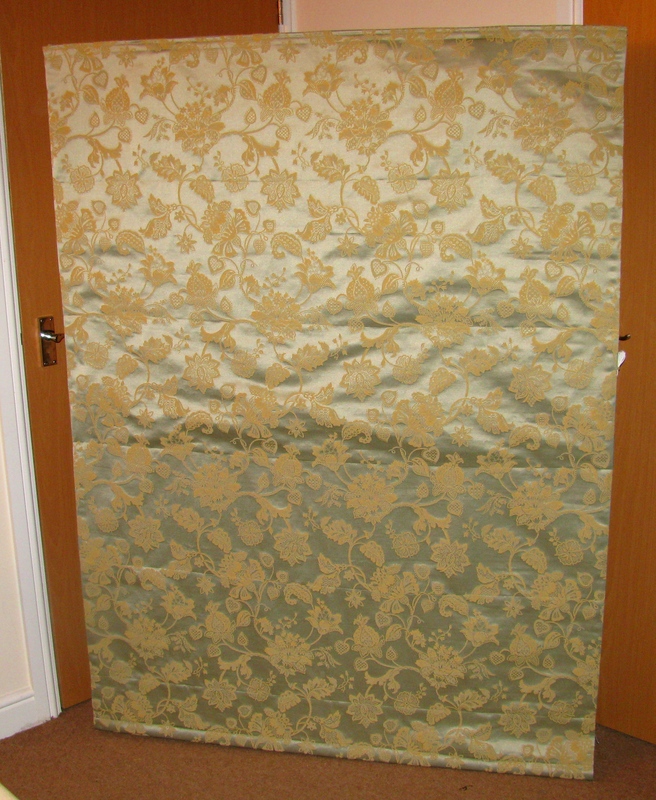 Chris and Sam needed a large blind to cover a kitchen window and a smaller blind for their bathroom. The first pictures show the kitchen blind, now installed above a beautiful Belfast sink. 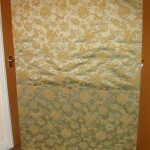 The second blind, for their bathroom, is a wonderful fabric with a similarly heavy embossed pattern. 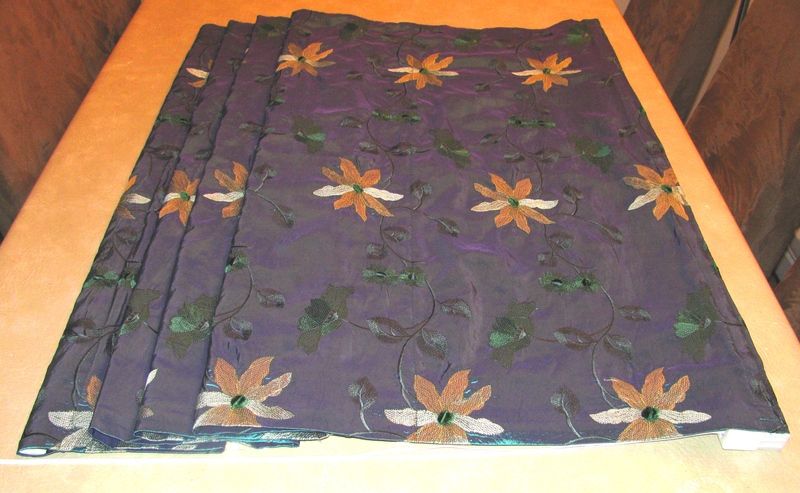 The folded, finished kitchen blind. The workings are all at the rear. 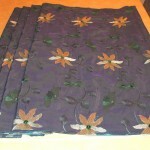 The finished blind, ready to go up. 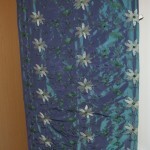 The final bathroom blind showing the lovely complex fabric. 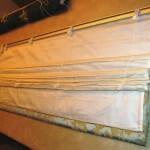 Chris and Sam were delighted with their blinds, which are being fitted into their lovely farmhouse. 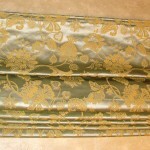 Both Roman Blinds are fantastic quality pieces of work! 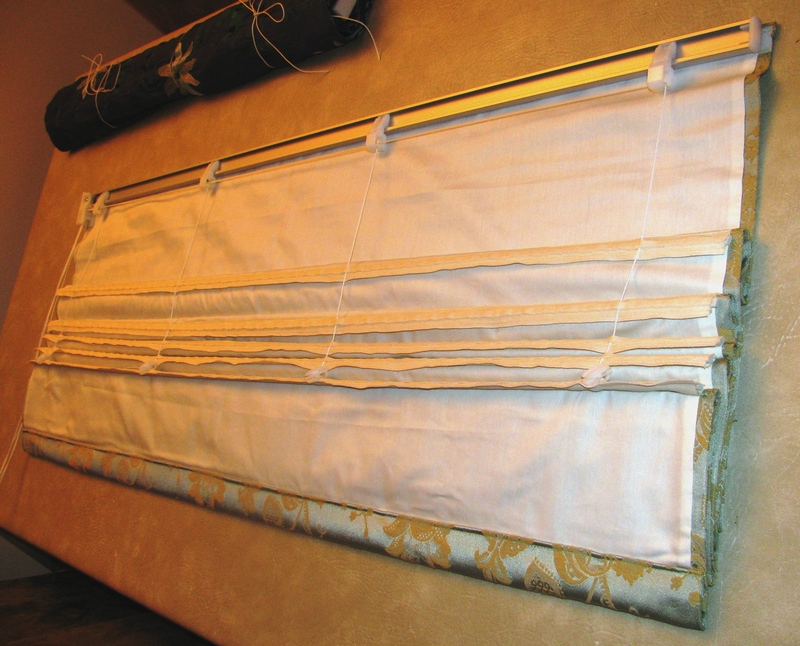 The turnaround in providing the handmade Roman Blinds was extremely fast and they are great value for money as the end product is perfect! 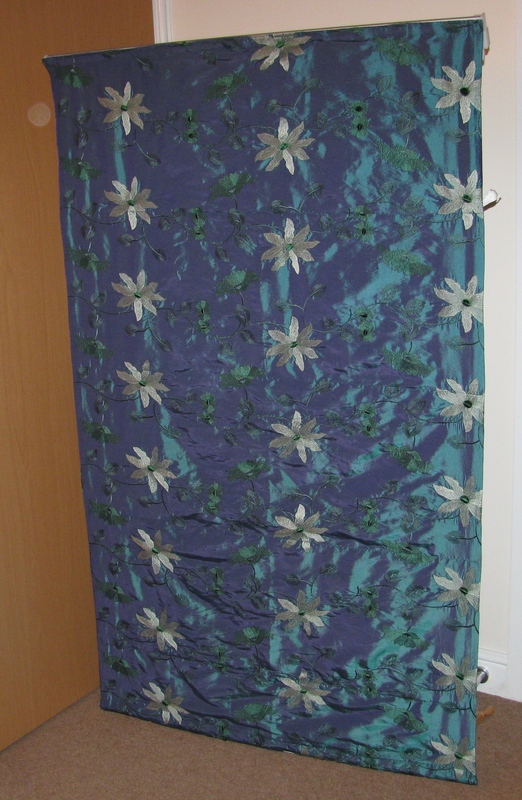 We couldn’t wait to fit the Kitchen Blind when we received them; the room is now complete and has given a fresh character to the Kitchen when the Roman Blind is drawn. Thank you for all your efforts Sharon and Phill!! Would recommend to all our good friends and family and look forward in requesting more soft furnishings for our home.